This elegant Harry Potter Professor McGonagall Hat is perfect for wearing in the classroom or while flying on your broom. 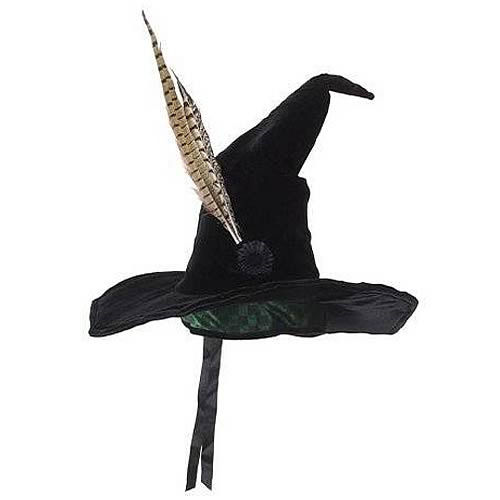 Constructed of shiny velvet with a satin, checkered band and an embellished, black fabric medallion, this witch hat is topped off nicely with a pheasant feather. The hat is made from 55% cotton and 45% polyester, and features a Velcro size adjuster. Spot clean only, air dry. Ages 10 and up.